Oh, hey there! I guess this is the part where I have to tell things about myself. Well, let's give it a shot! My name is Sal, I'm 24 years old. 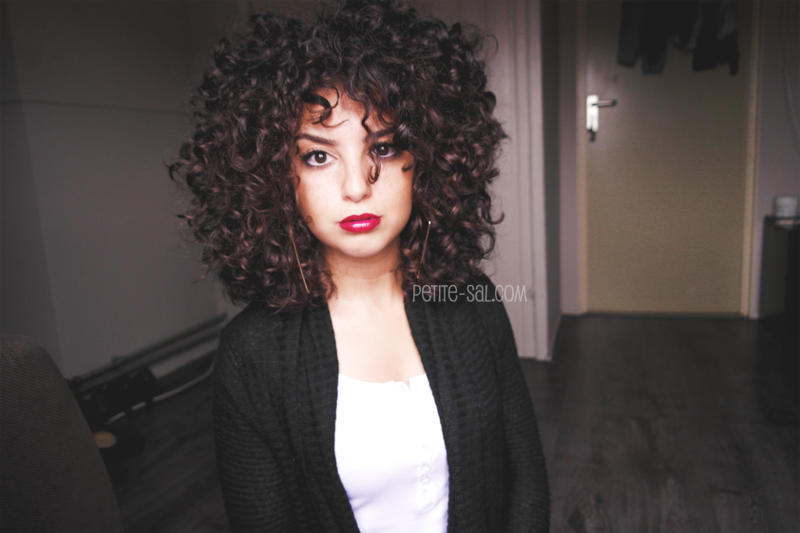 This curly lady lives in the Netherlands, for those who wondered. At the moment I study Communications. To finance my study I work part time at a jewellery store. Selling jewellery is something I love to do! Petite Sal is where I like to express some of my creative sides. Writing has been a hobby of mine since I was a little kid. Sharing this hobby with many other bloggers is just something I love. Also that people actually read and like the stuff I write. I'm a versatile little human being. I enjoy blogging (obviously), reading, being a TV show junkie, pizza, poetry, good music, picnics with my ugly friends and writing in general. I am aware of how cliché this sounds, don't worry. It's hard to explain yourself in a few words. I guess you'll just have to follow my blog to find out who I really am! I totally agree! But writing poetry is easier when you use it as a way to express yourself, like I do. It has also helped me learning how to put things in words, which I found very hard before. Nice sharing worth ready about sal's pizza.